Freedom, cultural identity, and rejection of age-old stereotypes and prejudice, are only a few of the topics explored in Laeïla Adjovi and Loic Hoquet’s beautiful and multilayered series of photographs, entitled Malaika Dotou Sankofa. 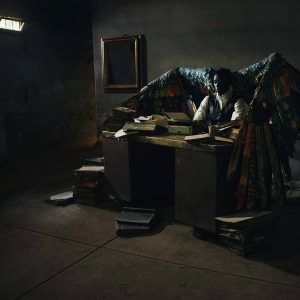 The thought-provoking images depict a black woman with a set of striking multicolored wings, who finds herself trapped in a dingy derelict building, complete with crumbling walls, blacked-out paintings, and barred doors. 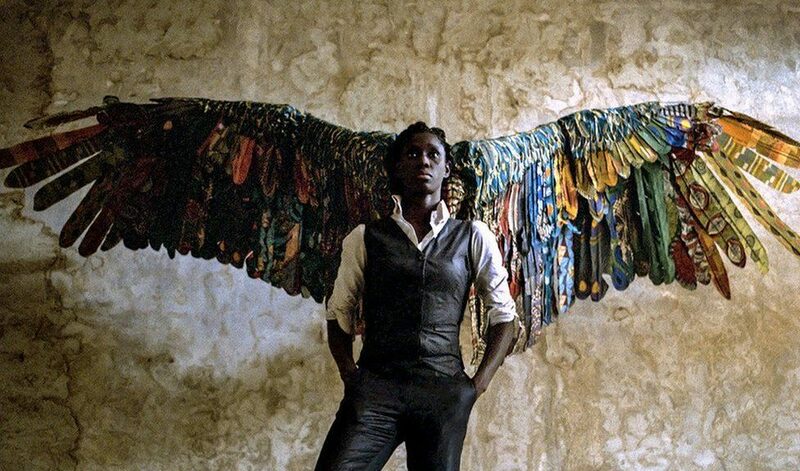 Although her wings can be seen as the ultimate symbol of freedom, Malaika is initially unable to escape the confines of her prison. Clad in a drab and worn business suit, she is seen wearily observing stacks of old books, reading, and solemnly contemplating. One of the shots reveals an antique typewriter, surrounded by smashed watermelons and scattered books. The final images portray her as spreading her wings and presumably escaping through a broken wall. Adjovi’s native tongue. “Sankofa” can be translated from Adinkra as “return and get it” – an allusion to the importance of learning from the past and preserving one’s cultural identity. of the Baye Fall Muslim religious community in Senegal. 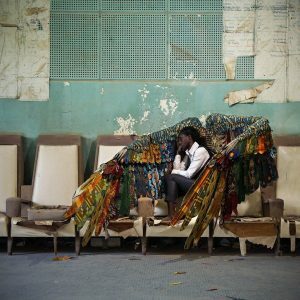 Malaika Dotou Sankofa won the Leopold-Sédar-Senghor Grand Prix at the 13th Dakar Biennale of contemporary African art. Find out more about ths unique series of photographs, and explore the work of Adjovi and Hoquet by visiting their website and Vimeo page, respectively.